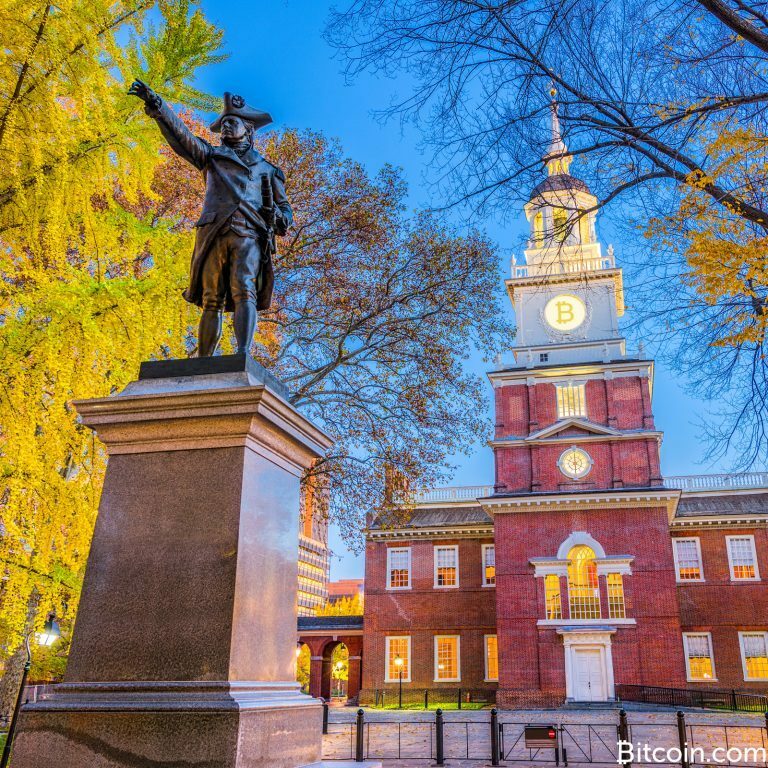 On Wednesday, Jan. 23, the Pennsylvania Department of Banking and Securities (DoBS) published guidance for virtual currency businesses operating in the state. The state’s financial agency has decided a money transmission license for cryptocurrency operations is not required. Banking officials from the state of Pennsylvania have revealed that cryptocurrency business operators are not required to apply for a money transmission license. The DoBS has issued a statement concerning the state’s Money Transmitter Act (MTA) and guidance for virtual currency businesses explaining that bitcoin and other digital assets are not considered legal tender in the U.S. In fact, the Pennsylvania guidelines emphasize that thus far, there is no state in the country that has “designated virtual currency as legal tender.” Furthermore, the DoBS explains that it has received “multiple inquiries from entities” who were looking for further guidance toward money transmission laws and setting up a cryptocurrency operation. “The DoBS will not be responding to these requests for guidance on a case-by-case basis, the DoBS is providing the following guidance on the applicability of the Money Transmission Business Licensing Law,” reads the banking department’s announcement. If the platform does not directly deal with handling fiat currency then a money transmission license is not needed. When a business operating in Pennsylvania solely transacts in virtual currency settlements then ultimately the platform is not engaged in the business of providing payment services or money transfer services. The DoBS also stated that operators of virtual currency kiosks, automated teller machines (ATMs), and vending machines have all attempted to contact the agency. “In both the one-way and two-way Kiosk systems, there is no transfer of money to any third party — The user of the Kiosk merely exchanges fiat currency for virtual currency and vice versa, and there is no money transmission,” the DoBS MTA guidelines explain. Thus, the entities operating the Kiosks would not be money transmitters under the MTA. Over the course of the past few years, U.S. officials have had a hard time reaching consensus when it comes to classifying bitcoin and other digital currencies. For instance, on Sept. 19, 2016, Federal Judge Alison Nathan from Manhattan ruled that “bitcoin is money.” Nathan detailed during the legal proceedings against Coin.mx exchange operator Anthony Murgio that “Bitcoins are funds within the plain meaning of that term — They, therefore, function as pecuniary resources and are used as a medium of exchange and a means of payment.” Virtual currency businesses in the state of New York have to apply for a money transmission license (Bitlicense) that is issued by the state’s financial regulators. Pennsylvania’s Department of Banking and Securities (DoBS) guidelines section 1. However, Miami-Dade’s Circuit Judge Teresa Mary Pooler tossed out anti-money-laundering charges against website designer Michell Espinoza and declared that “bitcoin was not money.” “It is very clear, even to someone with limited knowledge in the area, that Bitcoin has a long way to go before it [becomes] the equivalent of money,” Judge Pooler declared. Although the state of Florida’s prosecution agency filed an appeal against the decision to dismiss charges, the case took went on for years after Pooler’s verdict and the charges were eventually dropped. So far the state of Pennsylvania seems to be in the same regulatory boat as Florida once was in 2016 but the sunshine state has since changed the regulatory guidelines since Judge Pooler’s decision. Back in May of 2017, House Bill 1379 passed in Florida, defining virtual currencies as a money transmission instrument and prohibiting money laundering by using virtual currency as a vehicle. Pennsylvania’s new rules may also run into issues with the federal government’s laws and how the Financial Crimes Enforcement Network (FinCEN) classifies virtual currency operations as money transmitters. The DoBS money transmission laws in regard to cryptocurrency businesses have been discussed by Pennsylvania since 2016. What do you think about Pennsylvania’s Department of Banking and Securities ruling on virtual currencies and the state’s money transmission laws? Let us know what you think about this subject in the comments section below. Images via Shutterstock, and the DoBS of Pennsylvania.